This was another one of those days that could have been a bad day for a photo shoot. I am not sure if the weather goddess loves me, or I am just the luckiest photographer! All morning the weather looked gloomy and grey. The clouds were moving in quickly. About an hour before the shoot the sky opened up and the rain came pouring down....for about 10 minutes! Then the sky cleared up and we headed out for our shoot. I always tell my clients to not stress about the weather...even if it shows rain. I have yet to have a session rained out, knock on wood. As soon as this beautiful couple walked over to us I just knew this was going to be an amazing shoot. 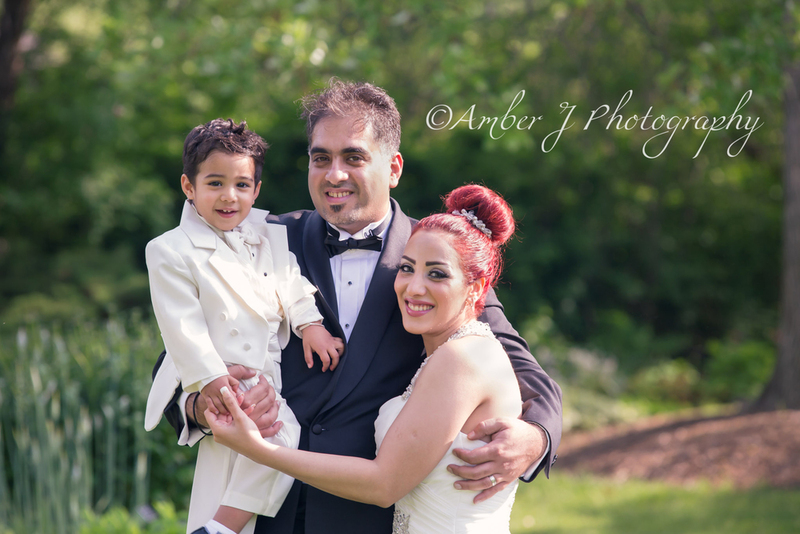 They are a gorgeous couple, and they had their handsome little one along. They sure know how to pose, too! Easily flowing from one embrace to the next. The love just poured out into their images. I hope you enjoy these photographs as much as I enjoyed creating them.